28 Apr May Printables and Art Print Pack! 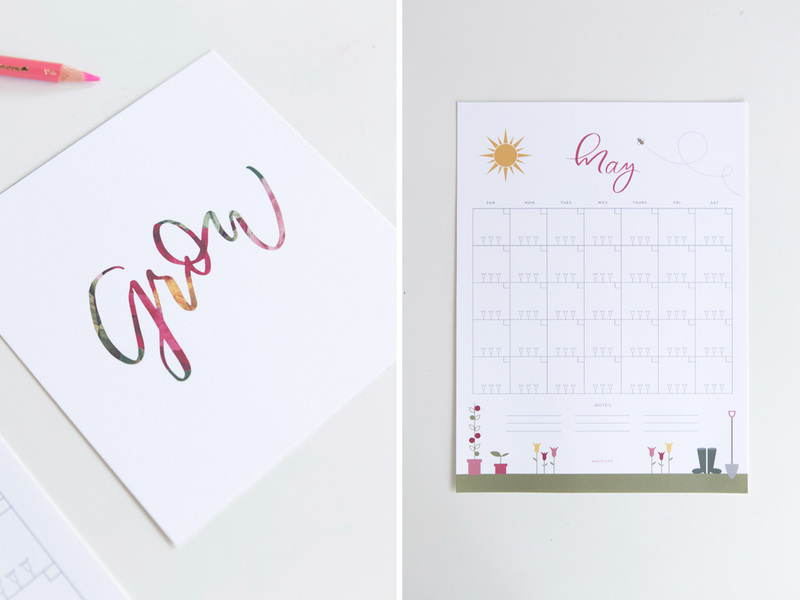 May is here — we can hardly believe it! 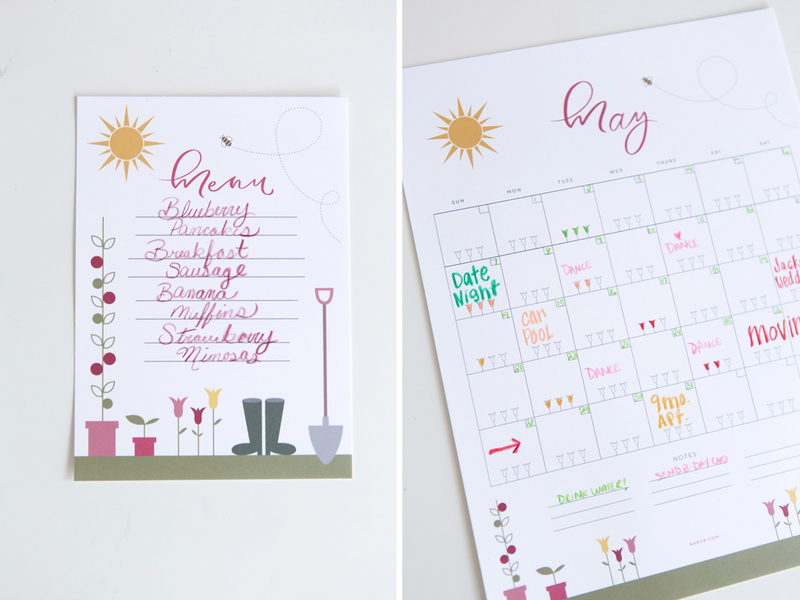 Celebrate “May flowers” with a simple calendar and menu! It’s the little things that add up to create a beautiful life you love and appreciate. 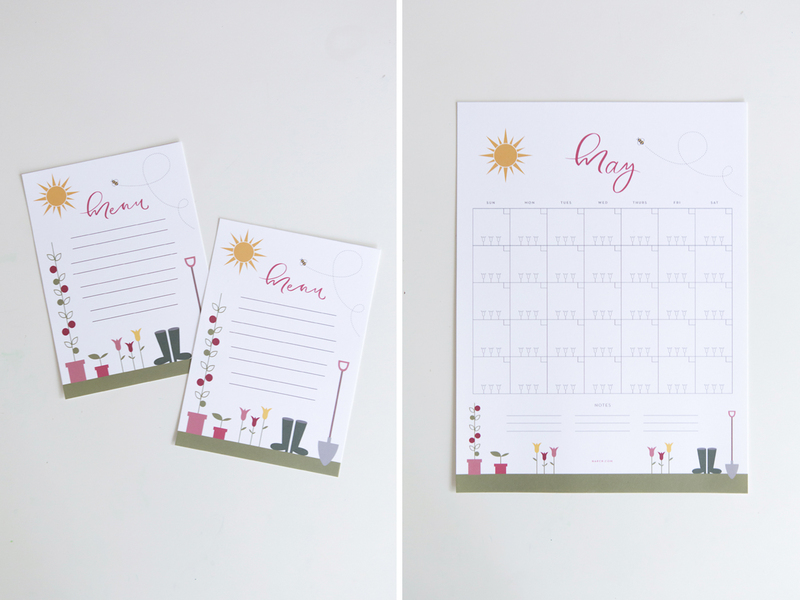 Putting together something semi-handmade, even something as simple as these printables, is an easy way to prettify your spaces. All you need to do is print, and you’ve got something special. These menus can be used for Mother’s Day brunch or breakfast in bed. 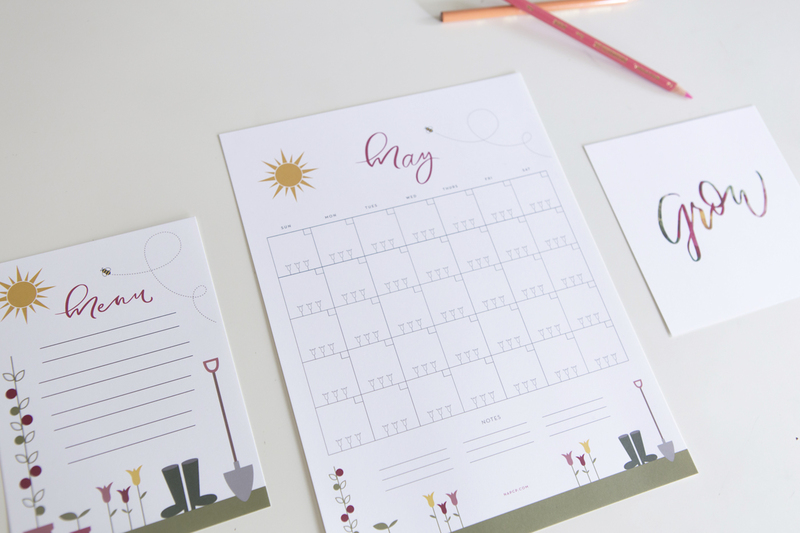 With a little bit of help, even the smallest children can fill them in, no problem! 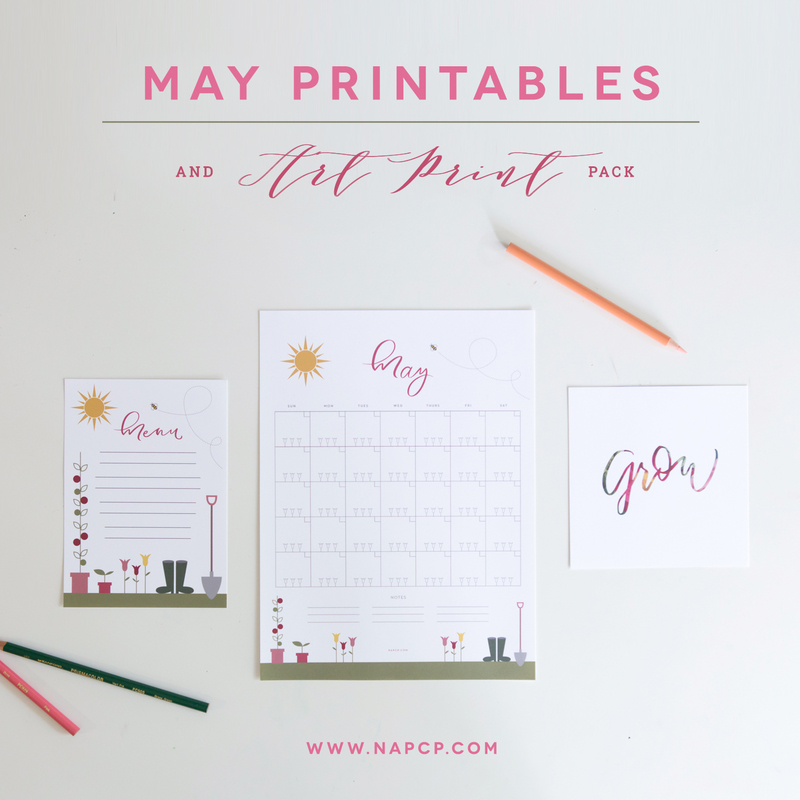 And to round out our May bundle, you can purchase an accompanying “Grow” print in the NAPCP store here! Give this simple set a try and be sure to let us see how you styled it, by using #napcp or tagging @napcp!